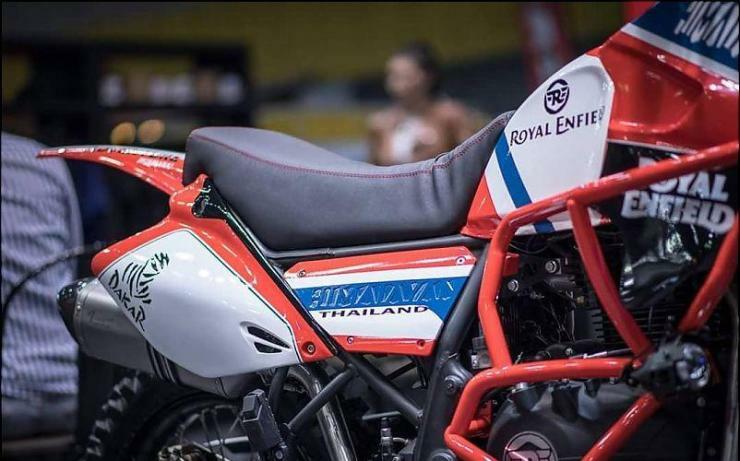 Royal Enfield showed off the Himalayan Dakar Edition at a motorcycle show in Bangkok, Thailand. The Dakar Edition Himalayan is a custom-build from Royal Enfield, which gives the motorcycle an enduro bike look. 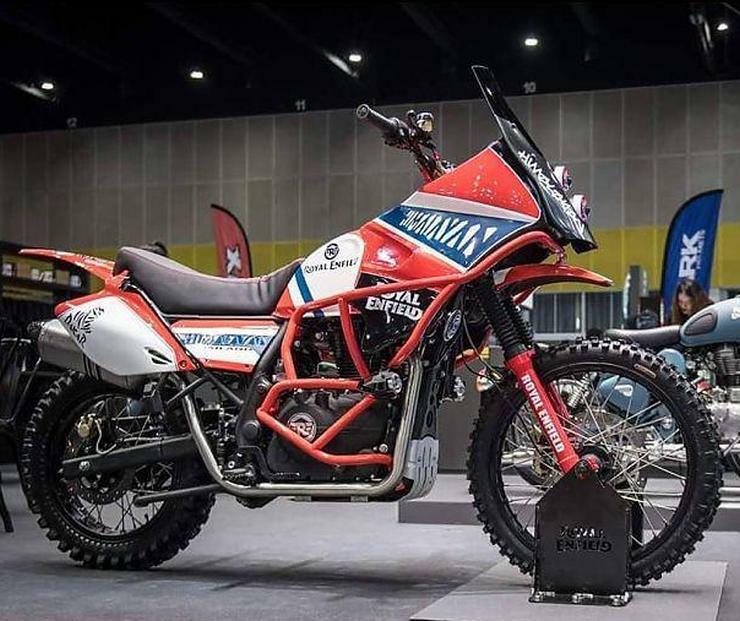 The Himalayan Dakar Edition has hints of the previous generation KTM 990 Adventure in terms of design. It gets new tank panels, a revised headlamp design that hosts projectors, a new crash guard, auxiliary lamps mounted on the crash guard, a custom seat, revised rear mudguard, new knobbly tyres and a handlebar brace. There’s a taller exhaust muffler that gets a nicely enclosed panel. 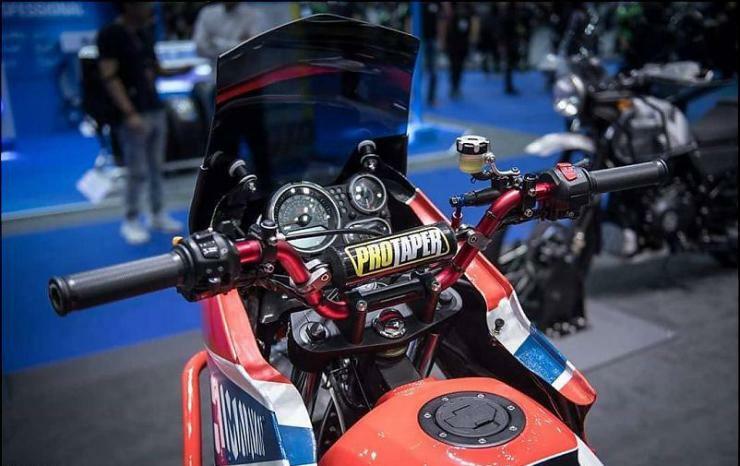 Apart from these changes, the motorcycle remains stock mechanically. What this means is, it runs the same 411-cc, air-oil cooled single-cylinder engine. This four-stroke motor makes 24.5 Bhp-32 Nm, and is capable of propelling the motorcycle to a top speed of nearly 130 Kmph. A 5-speed manual gearbox is standard on the bike, which also gets disc brakes on the front and rear wheels. While the India-spec Himalayan does not offer ABS, the motorcycle sold in Europe and other international markets gets dual-channel ABS as standard. 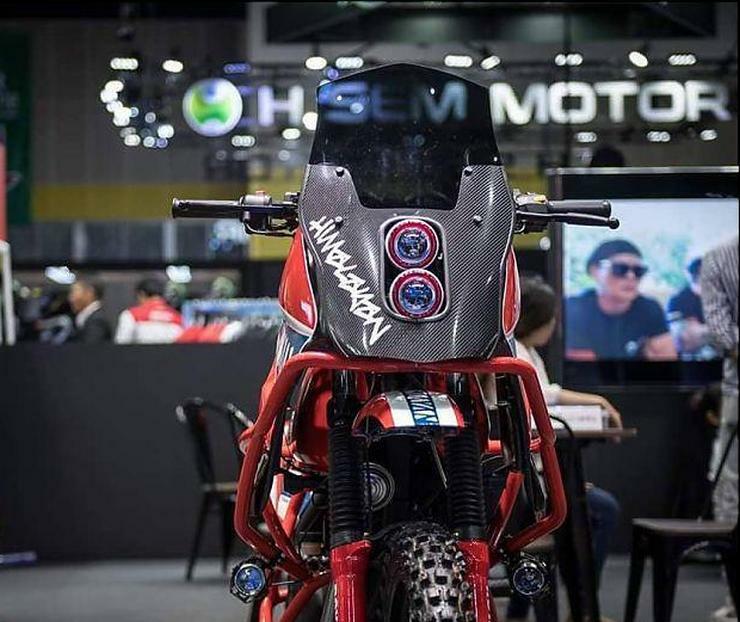 The India-spec Himalayan is also expected to gain ABS before April 2019 as new government regulations make it mandatory for ABS on all bikes with engine capacity above 125 cc. The Himalayan is the most radical motorcycle that Royal Enfield has built in decades. Positioned as an affordable on-off road motorcycle, the Himalayan starts at a price under Rs. 1.7 lakhs. In the motorcycle’s revamped Version 2.0 that is sold in both Indian and international markets, the company has ironed out various niggles that the first-generation model suffered. The motorcycle has a good suspension set-up with long travel at both ends. This makes it a great bike for off-road and no-road conditions. The comfortable ergonomics also help greatly for long distance touring. All in all, the Royal Enfield Himalayan is a formidable ADV motorcycle. « 10 DC Design-modified SUVs: From Toyota Fortuner to Maruti Vitara Brezza!